It’s hard to believe that this story hasn’t caused more of a stink than it has. Perhaps it’s just the sheer volume of scandal and bad news that has inundated the state in 2013. As reporter Sarah Ovaska first reported back in January in a special report entitled “A factory of excellence?” a Winston-Salem charter high school (i.e. a public school operating with public, taxpayer funding) is little more than a basketball factory for foreign students – many of whom appear to have lived in exploitative, even dangerous, conditions under the “supervision” of a badly troubled group of adults. The story is a testament to everything that’s wrong with the school privatization movement. This is a story that has percolated in and out of the attention of a distracted public and news media in recent years, but as reporter Sharon McCloskey reminded us in a February story, (“Packed and stacked or impartial: Redistricting maps head back to court”), the plain facts of how conservative legislative majorities have perfected gerrymandering and the disenfranchisement of voters (and taken it to a level their predecessors of all political persuasions probably never dreamed was possible) deserves vastly more attention than it continues to receive. Policy Watch reporter Lindsay Wagner was the one of the first to report on the appointment of conservative fire-breather A.L. “Buddy” Collins of Forsyth County to the State Board of Education in a March 25 profile. Soon thereafter, others weighed in to tell of Collins’ long history as a confrontational opponent of LGBT rights. Despite the troubling record, Collins’ appointment was confirmed and even expanded in November when, remarkably, Gov. McCrory appointed the vocal opponent of anti-bullying laws for LGBT kids to a school safety task force. In just one relatively small instance of what was fast becoming disturbing trend, North Carolina’s then-Medicaid chief Carol Steckel announced that the McCrory administration would decline a nearly-$1 million federal grant to help make the program work better. As reporter Sarah Ovaska explained, Steckel advanced the administration’s politics-rather-than-facts mantra that Medicaid was “broken” and in need of a radical overhaul rather than federal bolstering. Of course, conservative state leaders would go on the turn down billions in federal money that could have dramatically expanded Medicaid to a half-million poor and uninsured people and made the implementation of the Affordable Care Act much, much easier. May was an especially busy month as the General Assembly careened towards its concluding weeks, but as Lindsay Wagner reported in this story, some of the most important developments of the session’s waning days (the introduction of school vouchers and expansion of charter schools, to name two) could be traced to the tens of thousands of dollars funneled to conservative, pro-school privatization candidates by large out-of-state contributors during the 2012 election. 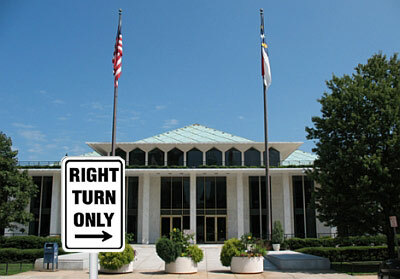 More and more North Carolinians are coming to understand the details of the absurd, everything-plus-the-kitchen-sink voter suppression bill rammed through the General Assembly during the waning hours of the 2013 legislative session, but those who really want to understand how it came about, should read Sharon McCloskey’s insightful article explaining the U.S. Supreme Court’s decision in Shelby County v. Holder, which repealed decades of important civil rights law and helped set the stage for the giant power grab. 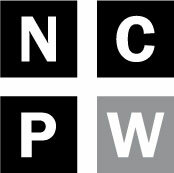 There have been several points throughout 2013 at which North Carolina’s harshest-in-the-nation cuts to unemployment insurance have made the lives of average North Carolinians measurably worse. To get a real feel for what life is like for real unemployed people struggling to survive, however, check out Sarah Ovaska special look at the case of a closing poultry processing plant in one of North Carolina’s poorer counties: “As plant closes, 950 face uncertain future, stricter unemployment rules.” It will remind you of just how heartless the state’s current crop of political leaders truly is. As with the above story on unemployment, there’s nothing like hearing and reading actual stories from “the trenches” to make plain what state lawmakers have wrought with their regressive policy choices. In this vein, take a few moments to check out Lindsay Wagner’s look at life in a real North Carolina public school (“State budget cuts temper hopes for new school year”) to see what it means to do without essentials when you’re serving large numbers of children who come to school from struggling homes. After one of the most consistently disastrous years of any North Carolina cabinet secretary in recent memory (remember “Salary-gate”? ), state Department of Health and Human Services Secretary Aldona Wos continues to find new ways to perplex just about everyone to whom she speaks in public — even her friends and allies. Sarah Ovaska reported on one of many such incidents in this article (“DHHS hearing leaves lawmakers frustrated”) which details Wos’ remarkably unconvincing appearance before a legislative hearing – a meeting run and dominated by conservative supporters of her boss! November: Low teacher salaries spur an exodus. As the year began to draw to a close, one issue that finally started to get more attention in the mainstream news media was North Carolina’s pathetically low teacher pay scale. Sadly, however, the driving force behind this growing realization was the growing number of teachers hitting the road and abandoning the state (and/or the profession). Reporter Lindsay Wagner helped spur the rising awareness with a powerful story entitled “Outstanding teacher reluctantly leaving North Carolina” about the departure of Asheville middle school teacher Chris Gable for higher pay in another state. Finally, for caring and thoughtful North Carolinians harboring hopes that the supposedly impartial judiciary might block or temper some of the worst excesses of state leaders, be sure to check out two articles by Sharon McCloskey about the book “The Price of Justice” by Lawrence Leamer. As McCloskey explains in this summary and this interview with the author, there are troubling parallels between the election of one of North Carolina’s most powerful state Supreme Court justices, arch-conservative Paul Newby (who refuses to recuse himself from the state redistricting case after having been elected in large part though campaign contributions by the people who drew the maps in controversy), and a situation in West Virginia that Leamer exposes as being fraught with corruption. Apropos of the year as a whole, it’s a sobering story, but one that all ought to understand if there’s going to be hope of progress in 2014 and beyond.